Ein kleines Leckerli, Lektüre fürs Wochenende: Das Protokoll der Councilsitzung des Handball-Weltverbandes IHF Ende Januar in Zagreb. Über diese Thematik werde ich Ihnen keine Antwort geben, weil ich Sie da nicht für kompetent halte. P. Mühlematter presented the proof of payment dated October 2008 amounting to 170,000.- CHF + 50,000.- USD to the Handball Union of Russia via a note of IHF Head Office staff member Anne Gsell. He asked why this sum concerning the 2005 WCh had been brought up in October 2008. 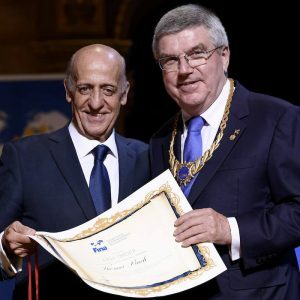 Moreover he presented a letter dated November 2005 issued by former Managing Director, F. Birkefeld, and addressed to the president of the Handball Union of Russia, A. Kozhukhov, to confirm receipt of 50,000 USD in cash. The 2005 Men’s World Championship was awarded at the 2002 Congress in St Petersburg. There were 3 candidate countries from Europe GER, RUS, NOR. NOR withdrew at an early stage. 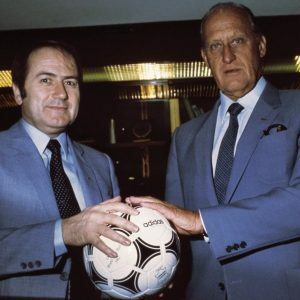 Then the discussion rose concerning a double candidature from Europe and RUS agreed to run for hosting the Women’s World Championship but to withdraw regarding the Men’s WCh. However, A. Kozhukhov complained about considerable expenses for the candidature and stated he would be unable to justify the withdrawal in front of the council of the Russian federation. Consequently a meeting between U. Strombach, President of the German federation, A. Kozhukhov and F. Birkefeld, acting as a mediator on behalf of the IHF, was arranged. 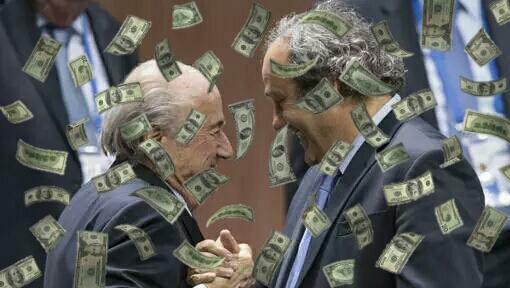 The participants reached the conclusion that Germany will pay 50,000 USD as a compensation for RUS’s expenses. When GER was not awarded the 2005 WCh they did not pay the entire sum. In 2005, the IHF, acting as a political and financial mediator, paid the sum to RUS and later on debited the GER account with the named sum as part of the final settlement of accounts of the 2007 Men’s WCh in GER. P. Mühlematter presented an e-mail sent by A. Gsell to Mr Jaus concerning the management letters issued by the external auditors and addressed to the Executive Committee. 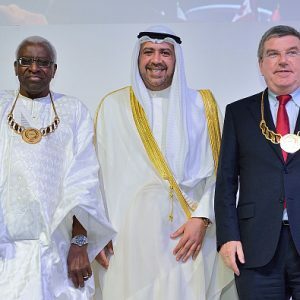 The procedure was that the management letters were sent via the IHF Head Office in Basle but that not all members of the Executive Committee did receive the management letters even though they are entitled to. Treasurer M. Roca explained the handling of these management letters. They were not basically handed over to the Executive Committee but relevant issues were discussed within the Executive Committee. 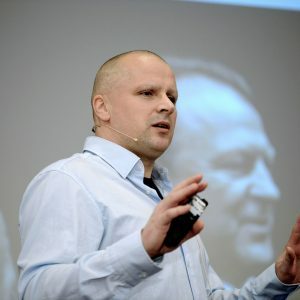 P. Mühlematter did not accept this explanation; he reaffirmed that he was not handed over the management letter distributed prior to the Paris Council meeting. In this context P. Mühlematter underlined again that major accusations currently dealt with by the public prosecutor could not be tabled to the Council at that moment. In anderen Worten: Eine völlig normale Kiste. 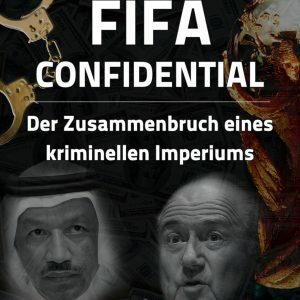 «Undemokratisches Verhalten» wirft der Luxemburger Jeannot Kaiser dem Amtsinhaber Hassan Moustafa in einem Brief vor, der der Deutschen Presse-Agentur dpa vorliegt. «Sie werden mir das Wort nicht verbieten. Dafür wird Sorge getragen», so Kaiser in einem Schreiben, der an alle nationalen Verbände gerichtet ist, die am 5. 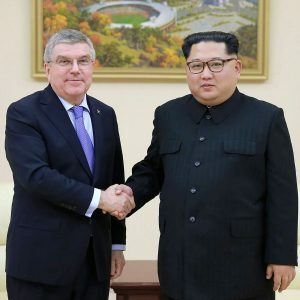 Juni in Kairo den IHF-Präsidenten wählen. Auch die IHF möchte sich nun endlich mit einer richtigen Ethik-Kommission schmücken. Wunschkandidat des Pharaos: der scheidende DHB-Boss Ulrich Strombach. 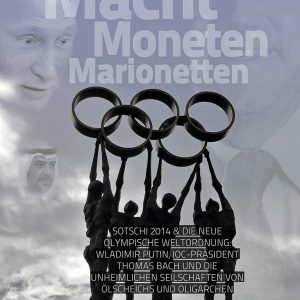 Über die verfügt zwar nur eine Minderheit (12) der olympischen Weltverbände (und 18 von 35 haben noch nicht mal einen Ethik-Code), aber die meisten dieser Reinigungstruppen sind ohnehin Show, weil alles andere als unabhängig. Oft benennt der Weltverbandspräsident (manchmal auch das Präsidium) deren Mitglieder, oft sitzen da Exco-Mitglieder drin – und in den allermeisten Fällen dürfen diese Pseudo-Ethiker erst dann ermitteln, wenn der Präsident / das Exekutivkomitee zugestimmt haben. 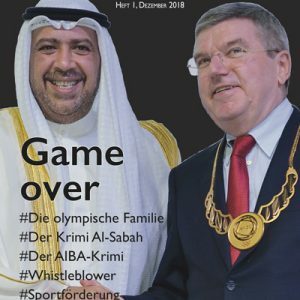 Es gibt in der so genannten olympischen Familie nur drei IFs, wo der Segen des Präsidiums/ des Exkos nicht erforderlich ist für Untersuchungen; darunter bezeichnender Weise die beiden IFs, die den größten öffentlichen Druck bekommen haben: FIFA und UCI. Die Art der Selbstreinigung, die der Pharao im Sinn hat, kann man sich vorstellen.